The asphalt repair company you select plays a major role in the integrity of your property across the ensuing months and years. This is true for homeowners as well as business owners. 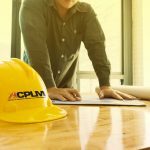 Do some digging and you will find that ACPLM is held in high regard throughout the community. 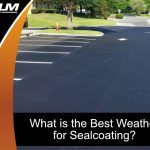 Here is exactly what you should look for in an asphalt repair company. Experience is the most important attribute. If the asphalt repair contractor in question lacks an extensive project history, think twice before giving them your business. The work crew should be experienced and knowledgeable in all aspects of asphalt repair. 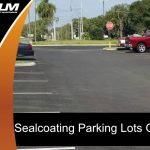 An asphalt repair company with a breadth of experience will get the job done in a thorough, efficient and low-cost manner. So don’t hesitate to ask for examples of past work. If the prospect can’t provide an extensive list, move on to the next candidate. Pricing is important yet it should not be a deal-breaker. Every asphalt repair contractor should be willing to visit your property and provide a quote. If the price is not competitive, rule out that candidate. However, if the price is a bit higher than those provided by other companies, consider other factors such as the candidate’s level of experience along with the quality of equipment and materials they will use. Inquire as to whether the asphalt repair company is licensed and insured. If the company hesitates to provide proof, strike them from your list of candidates. Evidence of license and insurance is an absolute must so you aren’t held liable for injuries or damage when work is performed on your property. The best asphalt repair companies are willing to share reviews from past customers. Hop online and check out reviews posted to the web. Find out if a considerable number of complaints have been filed with the Better Business Bureau. 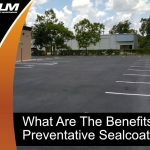 If the asphalt repair contractor in question invites you to check out the company’s work crew in action at a project site, accept the invitation and you just might obtain valuable insight into the company’s merit. A legitimate asphalt repair company will stand by its work. There should be a sincere concern for customer satisfaction. A limited warranty or even a project warranty will ensure the job is completed in accordance with industry standards and the nuances of your property. Make sure the warranty details are in writing before the work commences. 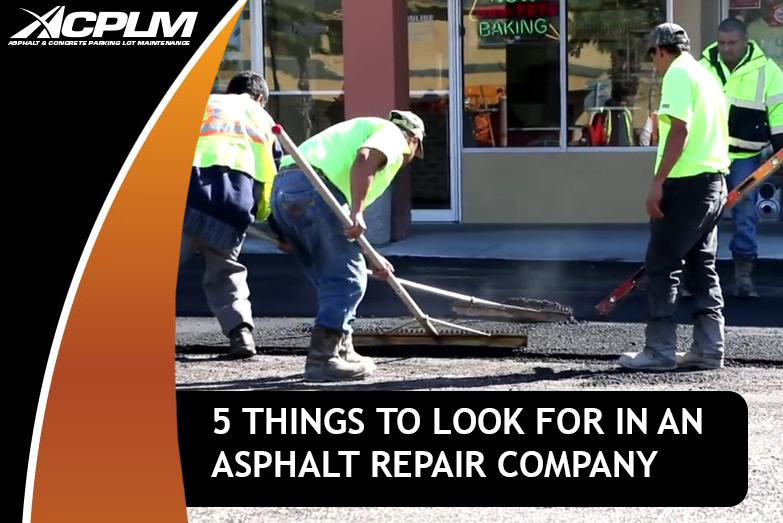 ACPLM has everything you are looking for in an asphalt repair contractor. We meet the criteria outlined above and then some. Contact us today to schedule an initial consultation.